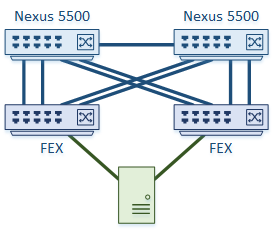 Enhanced vPC, or EVPC, is a new topology for connecting to FEX’s to Nexus 5500 parent switches. 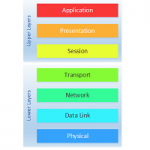 But before digging deeper, let’s do a quick review of traditional FEX topologies. The diagram below shows the two common FEX topologies. The first is the straight through topology. This is where a FEX uses a single parent switch. One or more links may be used for the connection. vPC is not used between the parent and FEX. Hosts connect to a single FEX or multihome to two FEX’s. 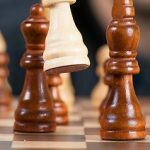 Use vPC for dual-active links between the host and both FEX’s. In the second topology, FEX’s are multihomed to the Nexus parent switches. vPC makes all FEX uplinks active. 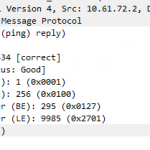 Hosts may be connected to both FEX’s, but not with vPC. This means that the links are active / standby, and rely on network failover within the host. An example is standby links in ESXi’s vSwitches. Remember that the second topology is not supported on all parent switch platforms. The Nexus 9000 series, for example, does not yet support multihoming FEX’s (as of Jan 2017). A future release will add this. The Enhanced vPC Topology adds a new way to connect FEX’s. As shown below, they support two layers of vPC. This means that FEX’s connect to two parent switches with vPC. The host is also multihomed to the FEX’s with vPC. All links are actively forwarding traffic. Keep in mind, that hosts do not have to be multihomed. 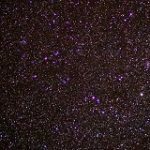 They can quite happily connect to a single FEX, either with a single link, or a port channel. Static LAGs and dynamic LAGs (LACP) are both supported. A mixture of topologies can exist in a single environment. For example, a pair of parents may have four FEX’s connected. 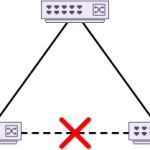 Two in an Enhanced vPC topology, and another two connected via straight-through mode. There are two main topologies which aren’t supported. The first is where a host is multihomed to two FEX’s, and the two FEX’s are connected to a single parent switch. This is not supported because it introduces a single point of failure. The workaround to this is to configure the host with active and standby links. The second unsupported topology is to have a host connected to more than two FEX switches. This is because there can only be two devices in a vPC. If you try to connect with this method, the switches will detect it, and the CLI will block the configuration. Enhanced vPC is only supported on a small number of Nexus platforms. Currently this is supported on the Nexus 5500, 5600 and 6000 series. There is no support on the 5010, 5020. This has been supported since NX OS 5.1(3)N1(1). The 9000 series, 7000 series and 3000 series do not support Enhanced vPC. It also appears that there is no plans to support Enhanced vPC on these platforms. There is no special configuration required for Enhanced vPC. The partform just has to support it.